WWE WrestleMania 34 left everyone shocked and confused with its main event. The rivalry between Brock Lesnar and Roman Reigns has been developing over past several months and the match at WrestleMania was expected to be one of the best. Several rumors over the past few weeks indicated that Roman Reigns was going to emerge victorious from this match. The intention of this rivalry was believed to be pushing Reigns by having him beat The Beast Incarnate. However, against all the speculations and expectations, Brock Lesnar defeated Roman Reigns at WrestleMania 34 and retained the Universal Championship at the end of the night. The match did not turn out as it was thought to be according to the audience in the arena. There were chants of ‘boring,’ ‘this is awful,’ and a lot of booing, as reported by Wrestling Inc. Both, Roman Reigns and Brock Lesnar continued trying to give their best despite the adverse reactions. The match involved a lot of Suplexes, F-5s, Superman Punches, and Spears. 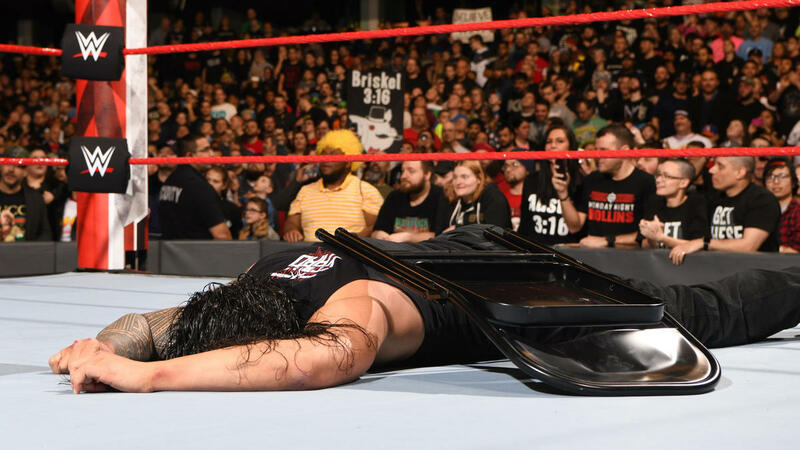 Brock Lesnar required six Suplexes along with six F-5’s including one through the commentary table to get the better of Roman Reigns. The Big Dog also tried his best to defeat The Beast Incarnate going to the extent of fighting with his face covered in blood. In the end, Lesnar got the better of Reigns and pinned him after an F-5 to walk away still as the Universal Champion. The outcome of Brock Lesnar vs. Roman Reigns match completely shocked the WWE Universe. It was believed that Reigns would win the match as Brock Lesnar was about to leave the company after his contract expired. WWE rumors hinted that Lesnar‘s contract would expire on the night of WrestleMania 34 and that could possibly be his last appearance, as reported by Newshub. UFC President Dana White had even admitted that Brock Lesnar was moving to the UFC. For the past few weeks, even the WWE featured promos with Reigns questioning Lesnar’s commitment to the company. Roman Reigns tried to rally fans behind him by raising the part-timer vs. full-timer rhetoric. All signs definitely pointed towards the Beast Incarnate leaving the company. 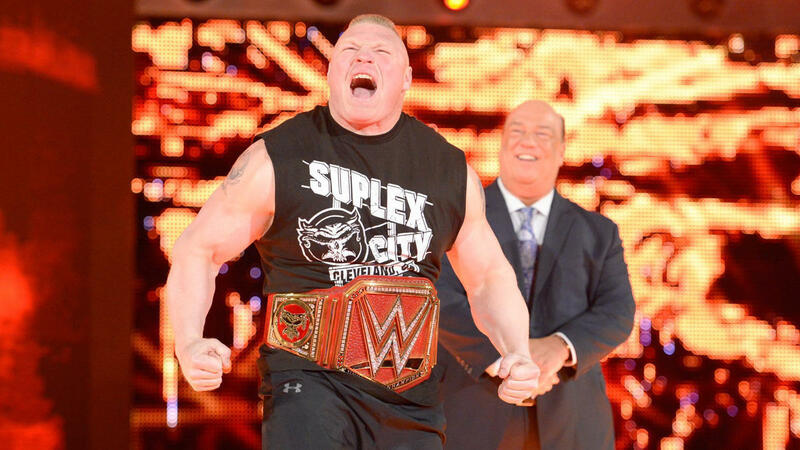 However, this victory could mean that Brock Lesnar would be continuing with the WWE at least for the near future. It remains to be seen whether Brock Lesnar will return on the Monday Night Raw or take a short break. Given the fact that he has retained the title, he will most likely continue with the WWE. There are a few fresh rivalries that could be initiated, including one with Bobby Lashley once he returns. It is being rumored that Kevin Owens will now be seen on Raw after being fired from SmackDown and losing his match against Daniel Bryan and Shane McMahon. Brock Lesnar and Kevin Owens could also make an exciting rivalry. 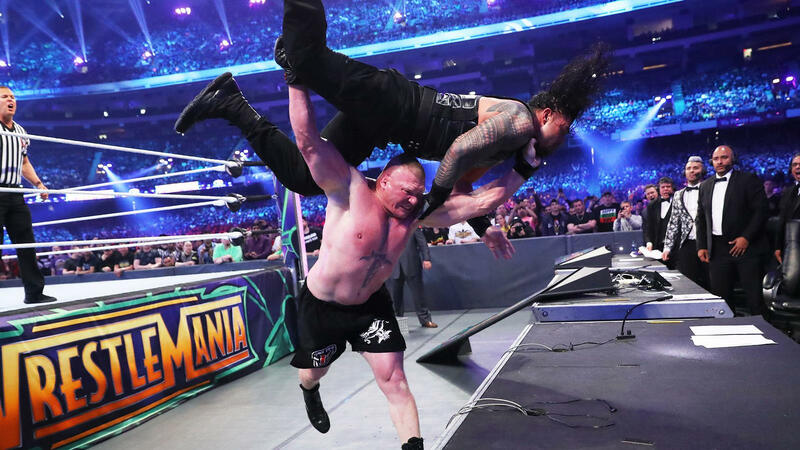 The result of Brock Lesnar vs. Roman Reigns at WrestleMania 34 was one of the most shocking and unexpected. Now, it remains to be seen how will the WWE officials leverage this in the next few weeks. WWE Raw will return on April 9 from the Smoothie King Centre, New Orleans.